Countering threats to the nation’s cyber systems, including both conventional information technology systems and cyber systems in critical infrastructure, has become a major strategic objective. Smart grid technologies promise advances in efficiency, reliability, integration of renewable energy sources, customer involvement, and new markets. To realize those benefits, the grid relies on a cyber measurement and control infrastructure that includes components ranging from smart appliances to automated generation control. In addition to those four clusters of closely interrelated research, TCIPG invests in cross-cutting research efforts that address and involve Education and Engagement, Testbed Initiatives, and Industry Interaction and Technology Transfer. Fact Sheet books from industry workshops are also available for download (see next section). 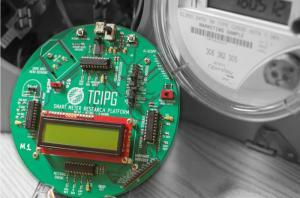 TCIPG researchers are also involved in a wide variety of other projects related to the smart grid and energy delivery systems.